February payday is just around the corner & you have booked a cheeky little weekend away with your loved one, the girls, a family break or you’re away with work (boooo!). You don’t want to carry a suitcase because it’s too big for just your undies & a few outfit changes, but you ALWAYS end up with 6 small bags & another full of your toiletries! (come on girls, I know this isn’t just me!). I’ve put together a collection of weekend bags to cater for all weekends & all budgets! Weekend away playing bingo with Granny Joan? Romantic Birthday city break with Mr Perfect? Wild Hen Do with the girls? You’ve come to the right place! 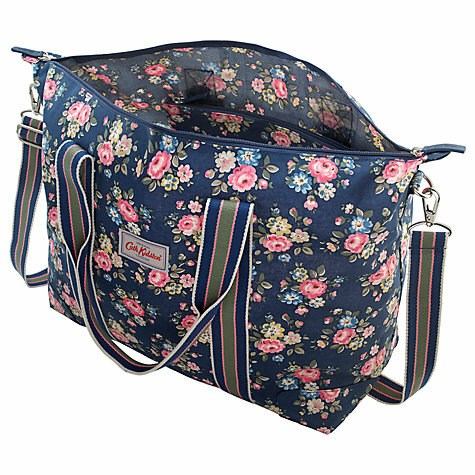 The lovely Cath Kidston is a very cute way to travel away with the family. 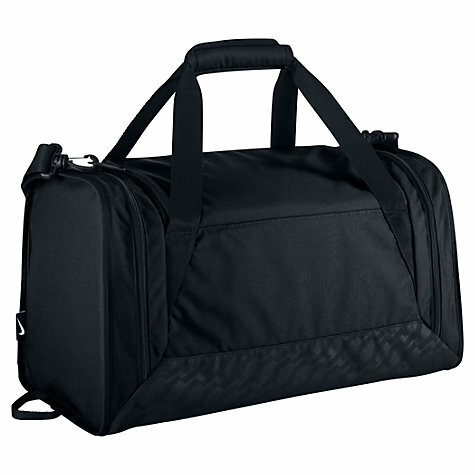 Great for throwing everything in & putting in the car, it’s waterproof & will hold all of your essentials for that one night away. 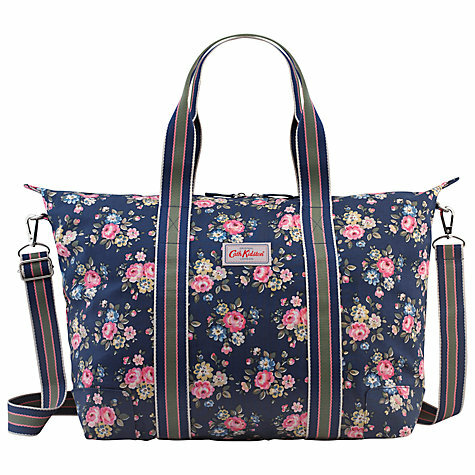 This is their foldaway overnight bag & at just £40.00, you’ll have Aunt Susanne ordering one as soon as you arrive. 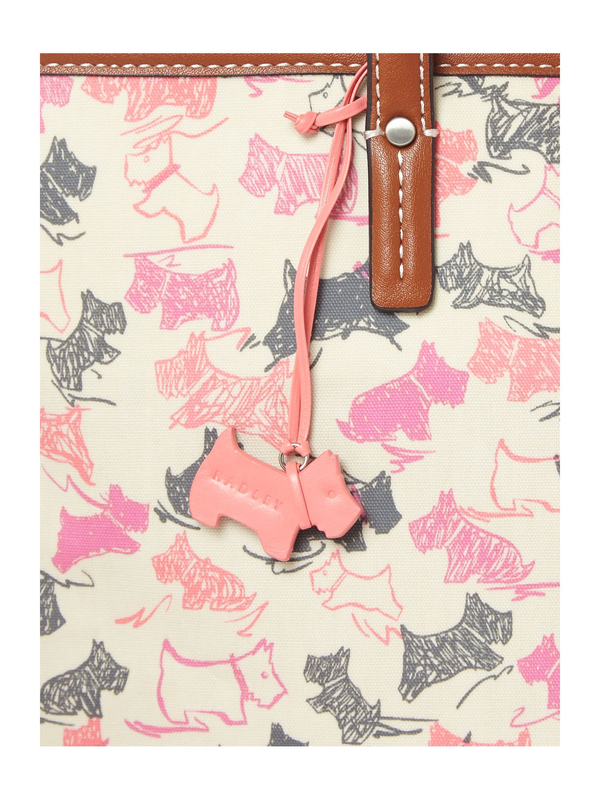 With matching travel items available here, it’s a nice little item to have stashed away! Your going camping or to that festival you’ve been planning all summer, but you want to look the part? ASOS have this little beauty to answer your prayers! 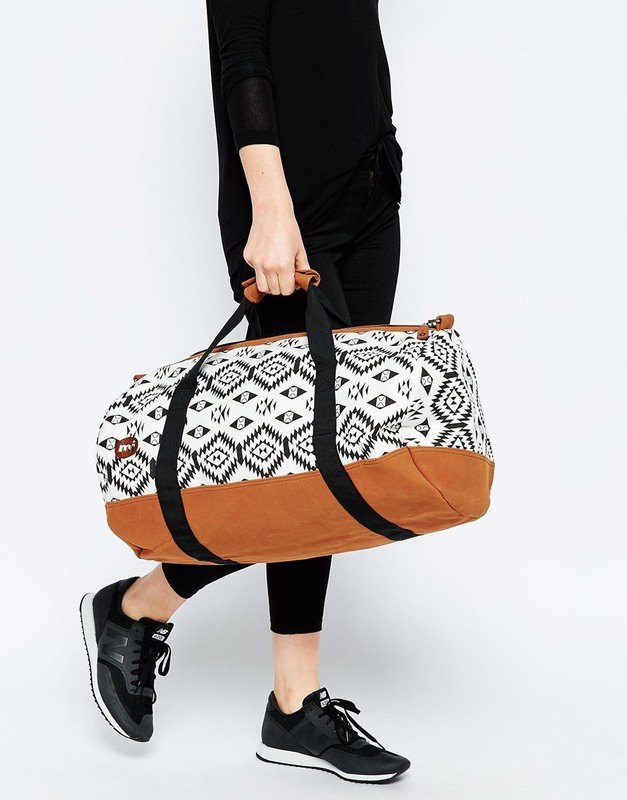 The printed canvas design on this Mi Pac Weekend Travel Bag will have you fitting in immediately & with a removable shoulder strap, it’s easy to lug around to the campsite showers. It’s also wipe down which is perfect for those festival spillages! Was £34.99, now £25.00. You can get it here! Your man has just told you to pack a bag for the weekend. He’s whisking you away to a log cabin/weekend in London. For no reason. This could be it. It could be your big proposal. Do you really want to be taking that tatty old holdall that you’ve had since your last school trip to Devon?! Even if your weekend turns into a big flop (his big ‘surprise’ was his promotion at work. Yuk! ), then this little beauty will make up for EVERYTHING!!! 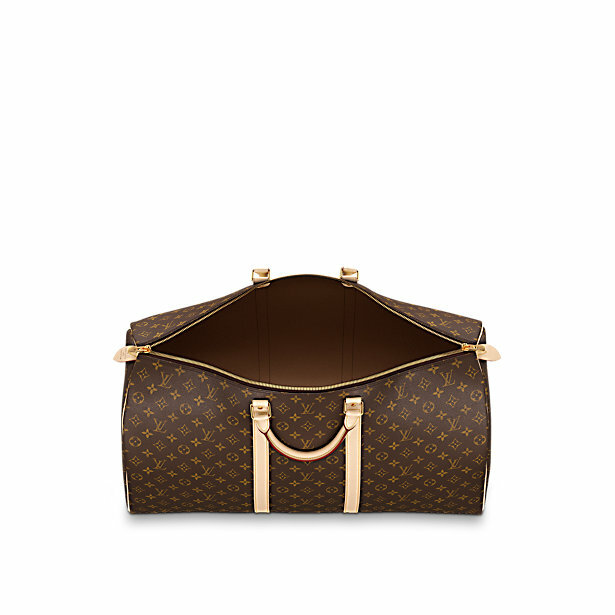 The Louis Vuitton Keepall collection is everything. It’s something I look at and I go weak at the knees. 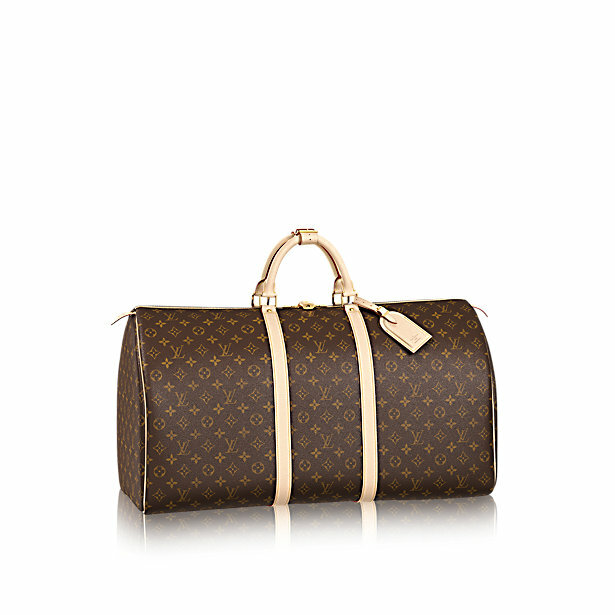 The David Beckham of weekend bags if you like. 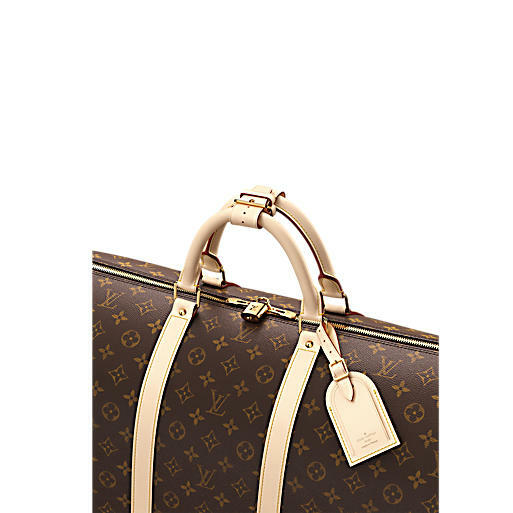 Starting from around £805.00, this little baby will last you a lifetime! It was January, you needed to get fit, you & the girls had too much wine. Next thing you know, you ended up booking yourself on a ‘health retreat’ activities weekend. Running, biking, swimming. You name it, you’ve signed up to it. Well now it’s March & you’ve realised that A) You’re never drinking again and B) You actually own no sports gear whatsoever. In the hope of at least looking like you know what you’re doing, here is your perfect companion to help get you through the weekend! 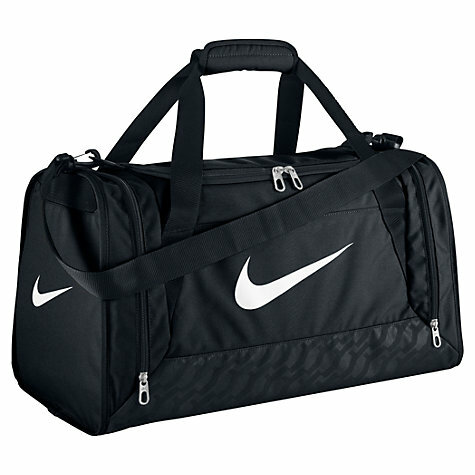 This Nike Brasilia Large Holdall can be picked up from Argos & at the moment there is £8.00 off! Get it online here! I promise, if you turn up with this, Sporty Steve the swimming instructor will be thinking you’re fit as a fiddle from the get go! Also a nice option to have stashed away for when you do choose to join that gym you have been promising to join! So, you said yes MONTHS AGO to that email that went around the office about that conference in Manchester. I know, I know, WHY?! But you did (silly!) and the only weekend bag you have is that big fluffy, faux fur number with the pompoms that is fine for those girly sleepovers, but hello! you’re an independent professional woman (or that’s what you want your boss to think! ), well up steps River Island. A firm high street fave, this is the perfect option to board the early Train & check into the hotel ready to greet Rob from the desk opposite, who you have never spoken to, but find yourself sharing the whole weekend with. 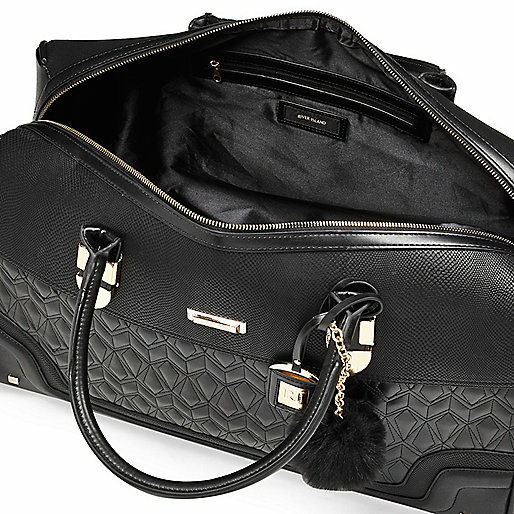 This is black, quilted & is big enough for everything you would need for the weekend. Did I mention it’s only £65.00? 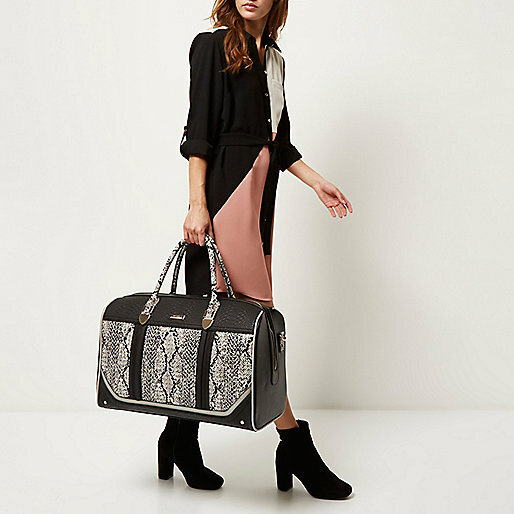 With matching wheelie case & makeup bag available here, you can’t go wrong! You & the girls have booked a hotel in the city of London & are going to shop until you physically drop (preferably into a large mojito!). 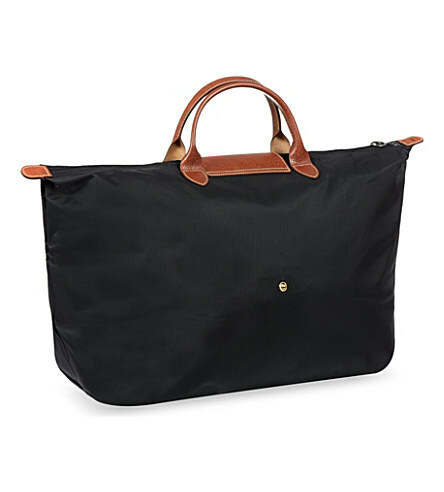 This Radley large weekender is perfect to take for the whole weekend but also handy to stash away your shopping bags during the day. 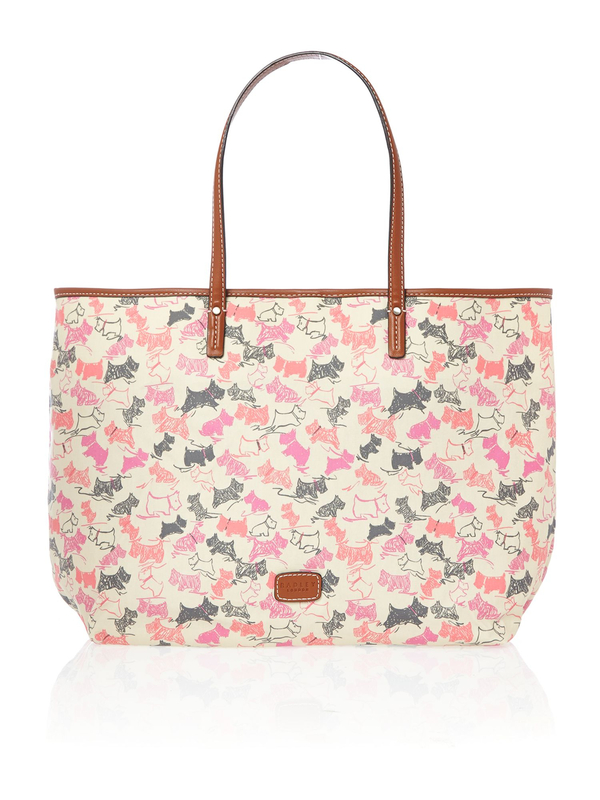 With the pretty pink colours & the signature dog design, this will soon become a firm favourite in your collection! Prices start from around £90.00 & you can see a familiar version here. You’re planning a weekend clubbing or you’re flying out to Ibiza. 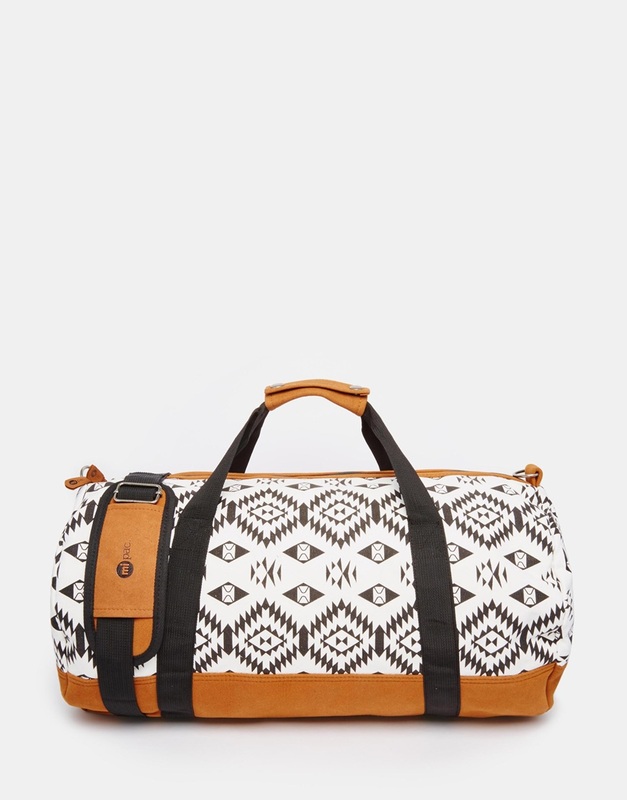 Another perfect option by River Island. 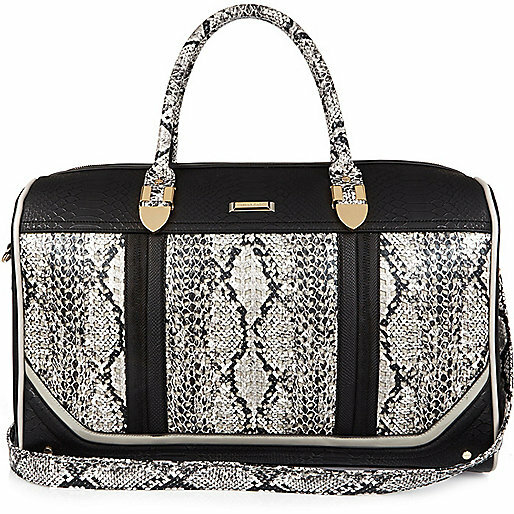 It has an adjustable shoulder strap & with its black snake print design, it’s fun & a bit more ‘out there’ compared to your work or romantic weekend getaway bags! Large enough for a few outfit changes & even enough room for a bottle of champagne, at £65.00 this will be a firm favourite for your girlie weekends! 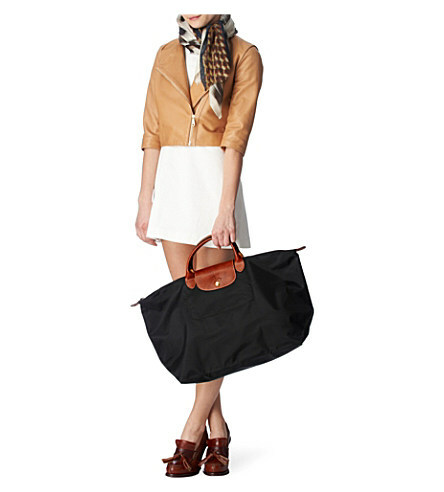 View this bag here! There are some things in life that are just perfect for any situation. Like, a Chanel perfume or a Clarins mascara. 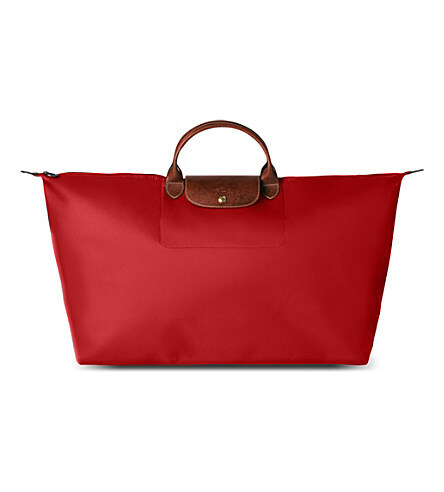 You can add Longchamp shoppers & travel bags to that list. These are absolutely perfect for anything. Versatile & stylish, these will last you forever. 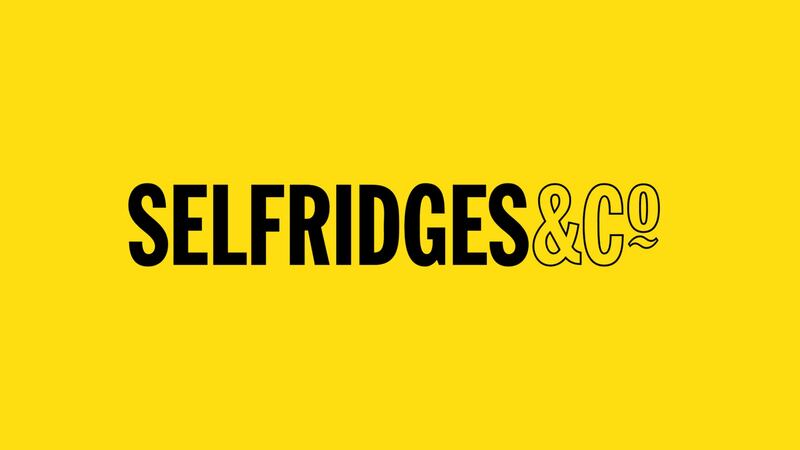 Starting from around £53.00, Selfridges have an amazing collection in all shapes & colours. A few weeks ago I received an email from Boux Avenue about a VIP Ladies Night Event taking place in my nearest store. 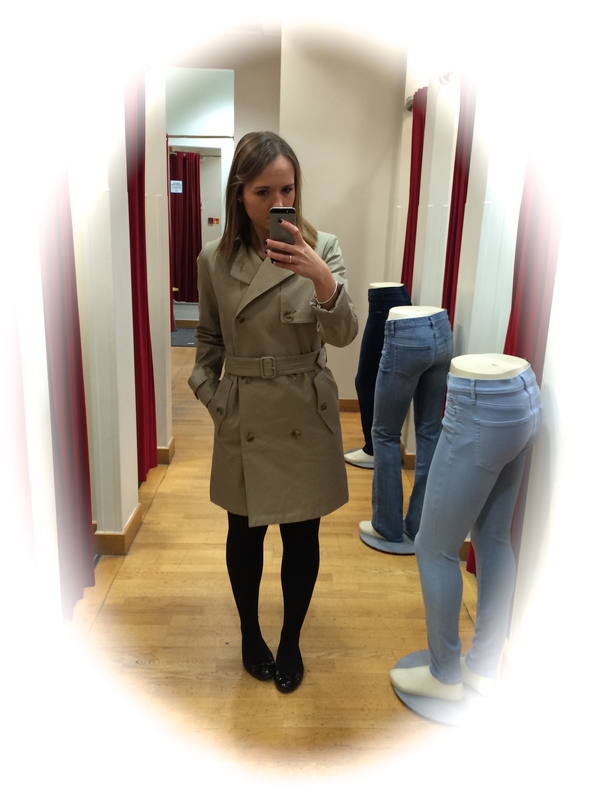 Owned by entrepreneur Theo Paphitis (Dragon’s Den), I really do enjoy a trip to Boux Avenue! 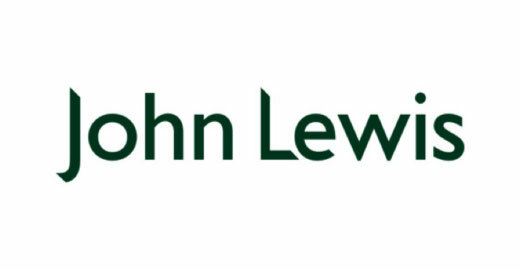 With 20% discounts, prosecco, complimentary bra fittings, manicures & a goody bag, what was there to lose?! The event was running from 4pm to 9pm so I headed straight there after work. As a woman, there is nothing quite like shopping for new underwear & Boux Avenue wrap it so pretty that it’s worth the purchase just for that! Their sleepwear & nightwear range is super cute & I love their Chemises & Cami Sets. Perfect for a special occasion or just a Friday night around the house! I love the layout of the store & the draw storage reminds me of how Victoria Secrets layout their underwear. They also have some accessories such as candles, reed diffusers, slippers & compact mirrors to name just a few which would make perfect little gifts for Christmas! After a lovely leisurely look around & after a glass of bubbles, I settled on a few things to take home with me! After a stressful day at work, it was a lovely girlie evening! I have today off work & so my mood is VERY different to a normal working Monday morning! I hope you all had a lovely weekend & no doubt we’re already on countdown for the next one! My weekend was possibly the best weekend I’ve had in a long time! Me & Daniel celebrated our 9th Anniversary on Sunday which was a lovely day! (more on that soon!). But on Saturday we attended the Mailbox Sessions. This was a celebratory weekend for the Mailbox in Birmingham. It’s finally opened it’s doors & as you may know, the new (& amazing) Harvey Nichols is also complete! Me & Daniel parked in the Mailbox (so handy!) & headed up to grab some breakfast. We popped into Cafe Rouge & had our favourite breakfast; eggs Benedict! We are complete suckers for it! We had secured tickets to the Gieves and Hawkes Tailored to You show at 10:30am. The show was being held in the new Urban Room which is located on the floor with all the restaurants and opposite the champagne bar/restaurant entrance to Harvey Nichols. The show was fantastic. It was led by Randall, an employee of the new Mailbox store, along with model, Luke, who modelled the suits that day. Randall went through what makes a perfect suit & what Gieves and Hawkes can offer to you. A suit to a man is like that little black dress for a woman. It’s SO important! Daniel loved the show & after the 30 minute talk we sauntered over to the Gieves and Hawkes store. Daniel picked out a tie & we got talking to the wonderful staff. They asked what brought us to the store today & we mentioned it was our Anniversary weekend. Next thing we knew the staff had given Daniel a little Anniversary gift; another tie! It was such a lovely gesture & we cannot wait to go back & purchase more things! At around midday, Daniel went & met his brother to pick & try on wedding suits! (Daniel’s brother is getting married next year; SO exciting!). I had got a ticket for the Art of Style show which was led by Grazia Magazine’s fashion editor, Blogger Bip Ling & Harvey Nichols’ Darren Skey. This was also held in the new Urban Room & a free copy of Grazia magazine was on each chair. Nice touch! This show was a conversational talk all about how art influences style, style icons & a general chit chat about fashion. It was fun & informative & made me want to quit my job & work for Grazia! After the 45 minute show, I went back downstairs to the shop level where the new & beautiful seating area is. They had public dance performances & also a live orchestra playing delightful background music. I sat for a while whilst admiring the new layout & the stunning decor of the new building. Birmingham has really stepped up its game in the last few years & I am SO proud to live here! If shopping is your thing then I highly suggest coming over for a whole weekend of retail therapy! We now have EVERYTHING in the city that London can offer; only less busy & more relaxed! 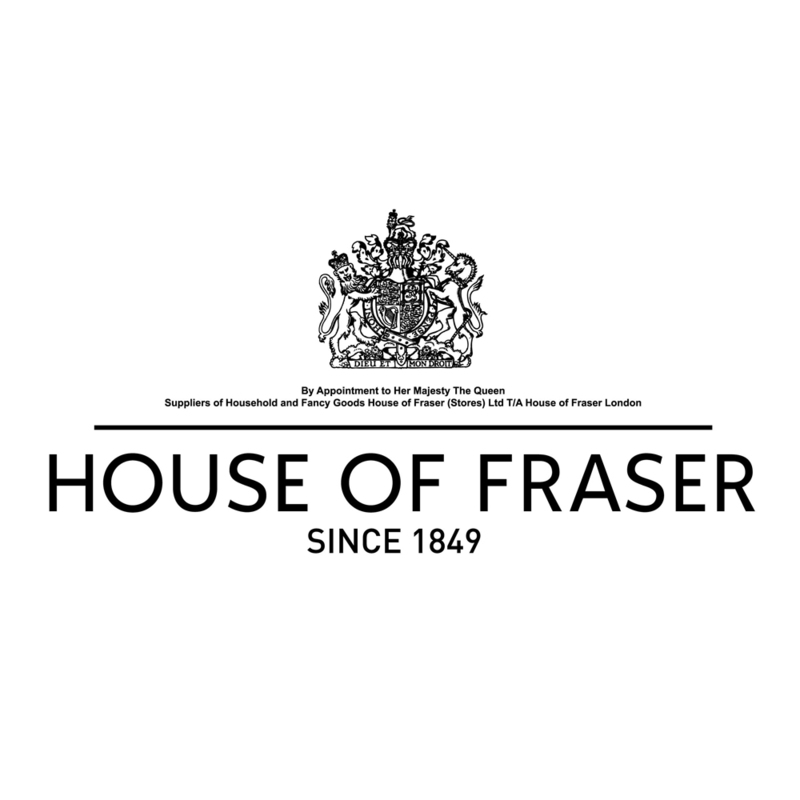 As department stores go, we have Harvey Nichols, John Lewis, Selfridges, House of Fraser & Debenhams. With some fantastic hotels & with the Christmas Market arriving in the next few weeks, it’s perfect for a Christmas shopping weekend away! So what are you waiting for? Come & see us here in Birmingham! Kim Sears, my Wimbledon legend! Kimberly Sears. The 27 year old, now wife to Britain’s ace tennis star Andy Murray, is the reason I watch tennis. Don’t get me wrong, I actually really like tennis. And I also like Rafa Nadal’s tanned and toned arms (that’s another story! ), but as a girl, there is nothing I love more but to wait for Andy Murray’s matches, JUST to get a glimpse of his wife’s outfits! What I love about Kim is that her style reflects the normal 20 something, professional woman who loves nothing more than a Saturday morning haul in Zara. 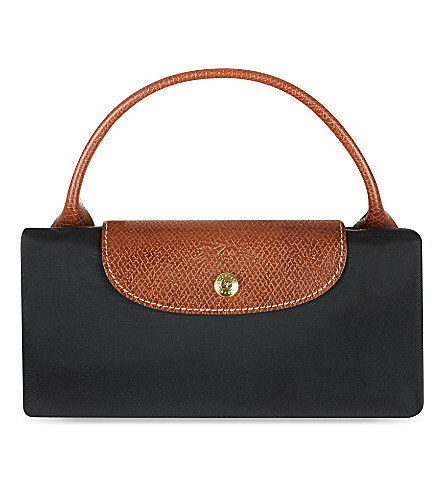 She loves her Mulberry handbags, an iconic British designer brand and often wears high street favourites such as Warehouse & Mango. She’s not afraid of adding a pop of colour to her outfits. 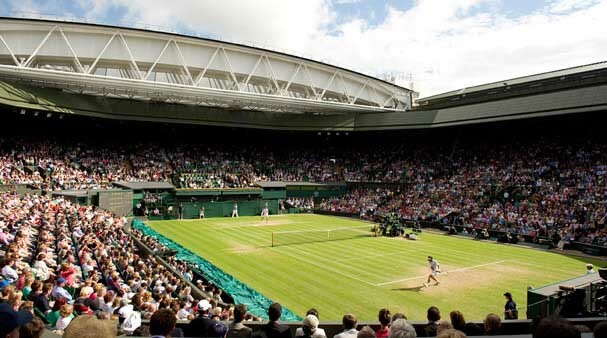 It’s centre Court at Wimbledon, but hey, who cares?! She’s wearing a denim jacket! I would probably get thrown out for looking like a homeless hippy! Sitting in the stands watching her husband, she’s not afraid to shout, yell, cheer & scream with every ball Andy hits. I couldn’t see Colleen Rooney doing that at a Manchester United football game! Kim doesn’t care. And that’s what makes her special. 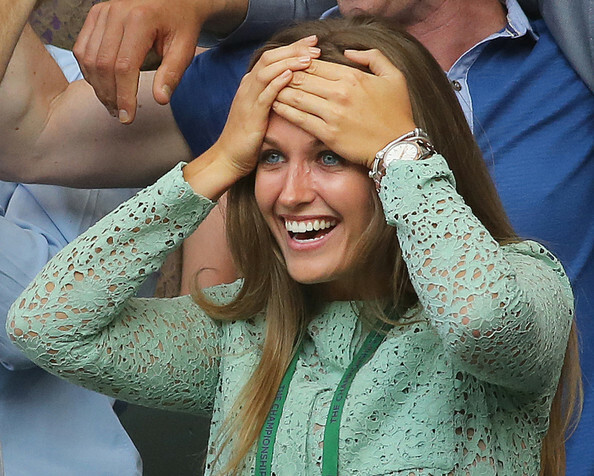 When she wore a statement necklace from Zara at last years Wimbledon, it sold out the very next day. I know because I was going to buy one. Even on her more ‘casual days’ she pulls it off. She’s there to support her husband, but at the same time, she feels every emotion that he does. The only difference is he is sweating like a hot mess on the court, & she gets to look pretty in a delightful Zara dress! Every dress that she wears is flattering & ladylike. Very Wimbledon & very classy. Nearly every dress she wears is knee length or midi. I would love an hour to rummage in her wardrobe! I LOVED it when she sported a Parental Advisory sweater to one of Andy’s games. There were reports of her swearing loudly in the stands & being quite rude, but Kim being Kim, she did the talking with her style! I cannot even begin to get started on that head of hair that she has! I kind of want to shake her parents’ hand for creating such a mane. It’s heavenly & dreamy & quite frankly, not fair! I love you Kim Sears. Any Murray, PLEASE do not let me down. You know the one. It’s so cool even Brooklyn Beckham has one. THE stable piece to every wardrobe. With a price tag of over £1,000.00. Well, in steps The GAP. The typically American store founded in the 60’s, where their cool, laid back casual style always seems to pull me in. I had been eying up their beige Mac for MONTHS. Then to my delight, I spotted it on sale (50% off!). 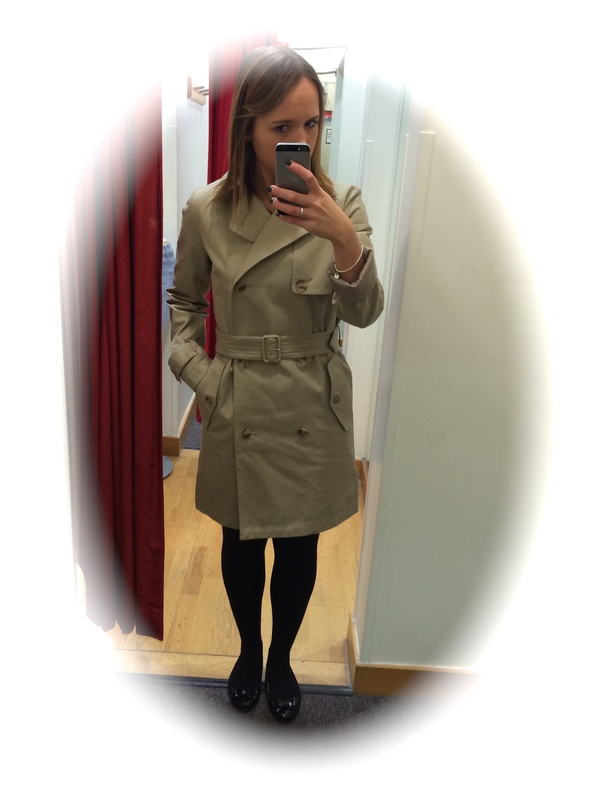 So for £34.95, I had found the perfect mac to get me through the up & coming April showers! 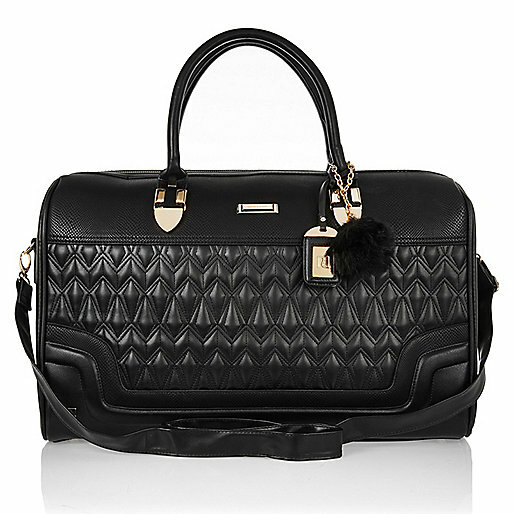 Yes, it’s not Burberry, BUT it’s just as cute, & won’t put a dent in your bank balance! 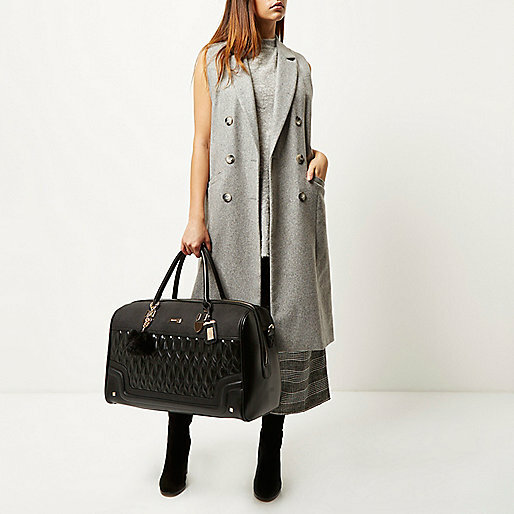 You can get your iconic Burberry Mac here or search the GAP website here! I have fallen in love. Help me! I need this in my life. Pretty damn soon. It costs the same as my car insurance for a whole year, but LOOK HOW PRETTY!! 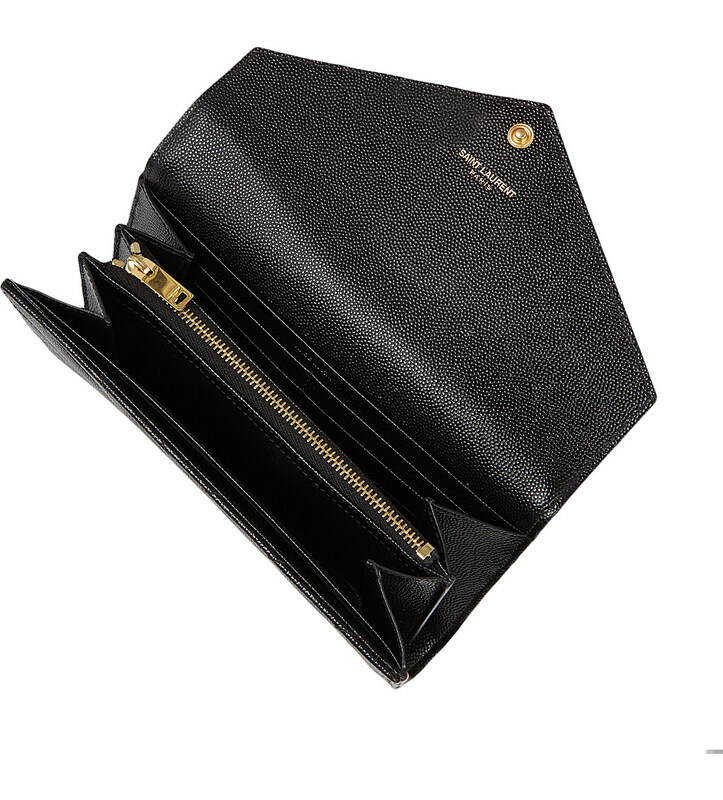 I think the dimensions (Height 10.5 x length 19 x depth 4cm), would be big enough for me to use as a clutch on a night out, which makes me want it even more! I need to stay away from Selfridges for my own good! 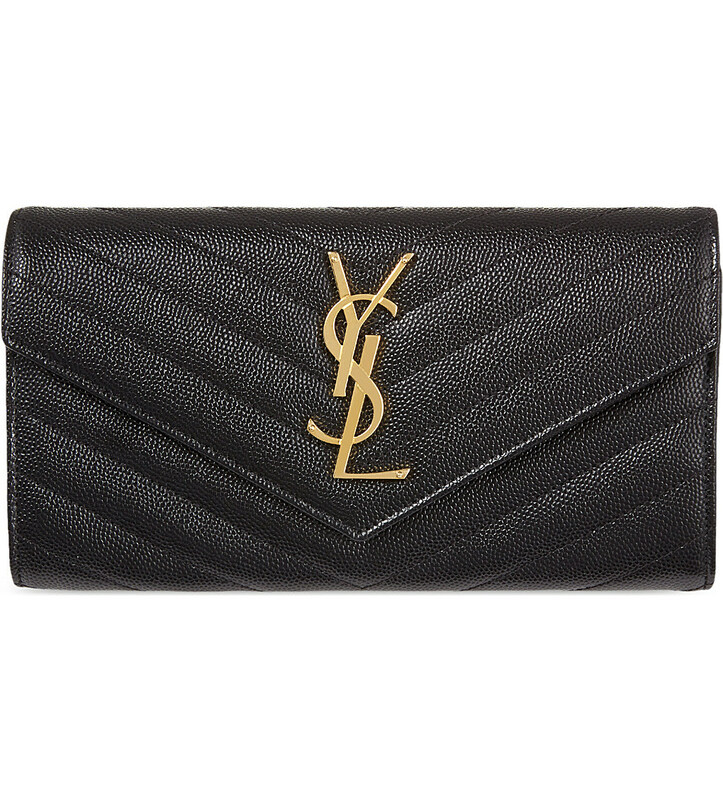 See the full Saint Laurent range here!